I hope your week was splendid! It is Friday, so that means a new Playing in Paradise challenge. This week the talented Nina is hosting and she chose travel as her theme. You can create anything you like using any product you like so long as your project fits the theme and is a new post (not backdated). I hope you will join in! To see more travel inspiration, pop by the Scrapbooker's Paradise blog to see what the talented team has created. 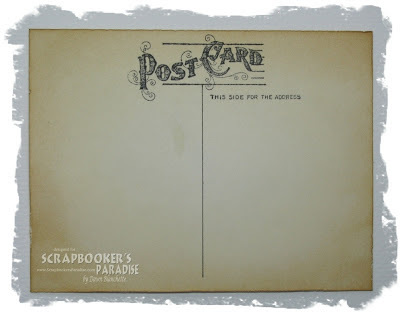 As always, Scrapbooker's Paradise has a wonderful prize up for grabs. I hope you'll join in the fun and I'm looking forward to seeing all your projects! Your post card is perfect for the travel theme - same vintage colors, but the feel of being in a horse drawn carriage on a snowy evening - I've never really traveled in that mode before, have you? The image is gorgeous! I was really stumped with this challenge too. I LOVE your interpretation using a post card. And what a beautiful postcard it is!! 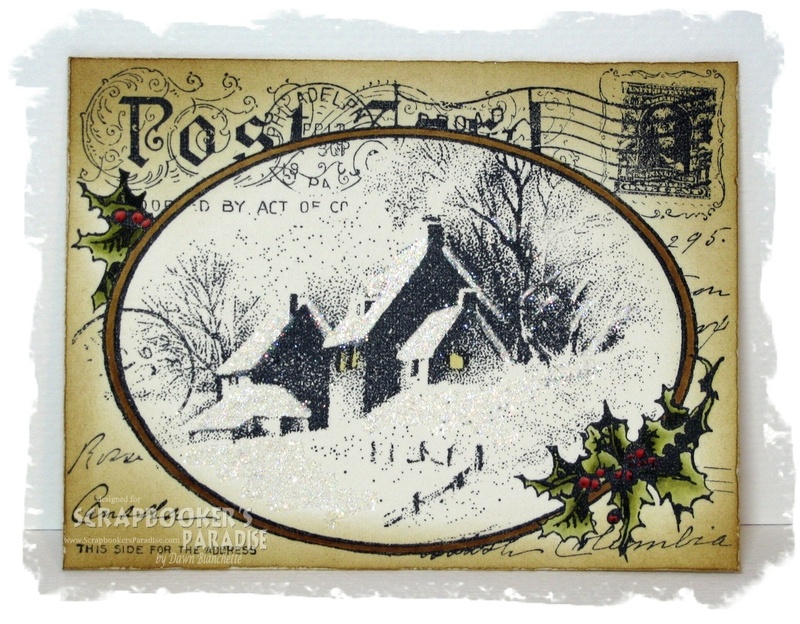 That is one of my favorite stamps and I just love how you've coloured it and then added glitter in the snow. Very, very pretty. What a fantastic take on the challenge, and it is perfect. I love the vintage look, this stamp is wonderful.